The latest Mowat NFP Sector Signal examines the open data opportunity for the NFP sector and outlines the conditions that must be considered and developed in order to effectively meet the sector’s data needs. In recent years, governments around the world have begun to develop open data policies as part of a broader push for government to become more accountable, effective, efficient and transparent. Advocates for these policies argue that opening datasets in a standardized and accessible way can spur innovation for both government and organizations, facilitating both social and commercial benefits. As not-for-profits (NFPs) and governments consider how to modernize the framework that governs their relationship, what potential do open data policies hold? Does the increased attention given to open data, both as a movement and policy, present an opportunity for the not-for-profit sector to better achieve its goals? NFPs have long sought better information about the communities they work in and more information about the organizations that make up the sector. Now, there is growing interest in engaging with the open data movement as part of a broader push for information the sector needs. NFPs are not only seeking to improve on their work, but also to better assess and communicate the impact of that work. They have a strong foundation to build on, and — given the technological advances of the past decade — many see the increased use of data as a way to both to enhance the work of NFPs and strengthen the sector’s ability to communicate its value. In order to do this, NFPs argue that they need indicators for the communities they operate in, information about the types of programs and activities that others offer, and more evidence about what works. There is also growing focus within the sector and government on measurement and evaluation. Having access to and using quality data will only become more important as interest in better evaluation, collective impact initiatives and outcomes funding and programming grows. For NFPs looking to adapt to changing circumstances, having the information, skills and resources needed to effectively use data will be a key driver of success. Current public discussions on open data policy frameworks provide an opportunity for the sector to communicate its priorities on the types of open government data it needs. There are also emerging opportunities for the sector to position itself as a source of data through creating, maintaining and opening up datasets that support its work, demonstrate impact and inform public policy. Access to open data is just one part of the picture. Robust open data frameworks and initiatives require thought and action that go beyond conversations about access. It is an issue that touches on questions of capacity and culture change for both NFPs and government. 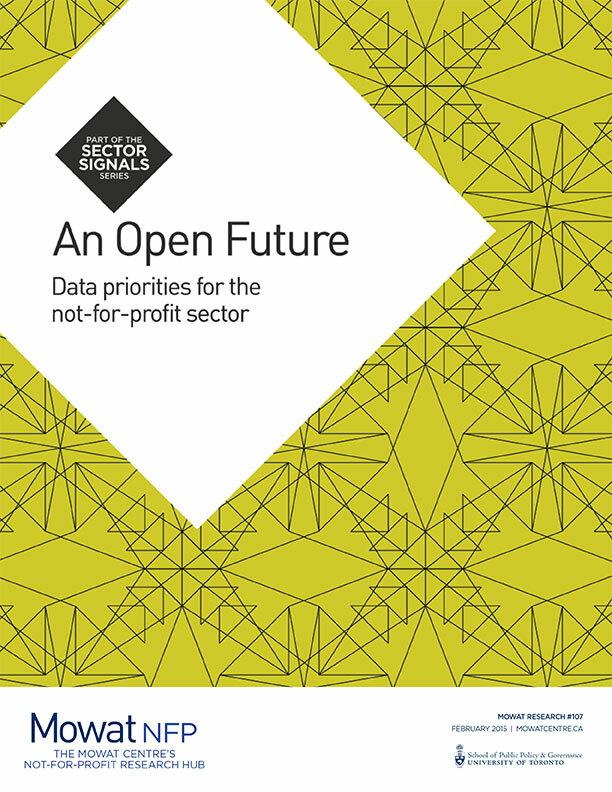 This Sector Signal considers the opportunities around open data for the not-for-profit sector and highlights the priorities, standards, skills and leadership needed for a successful data partnership with government, with open data advocates and within the sector itself.